With an Introduction and Notes by John M.L. Drew, University of Buckingham. Wilde's only novel, first published in 1890, is a brilliantly designed puzzle, intended to tease conventional minds with its exploration of the myriad interrelationships between art, life, and consequence. From its provocative Preface, challenging the reader to believe in 'art for art's sake', to its sensational conclusion, the story self-consciously experiments with the notion of sin as an element of design. Yet Wilde himself underestimated the consequences of his experiment, and its capacity to outrage the Victorian establishment. Its words returned to haunt him in his court appearances in 1895, and he later recalled the 'note of doom' which runs like 'a purple thread' through its carefully crafted prose. 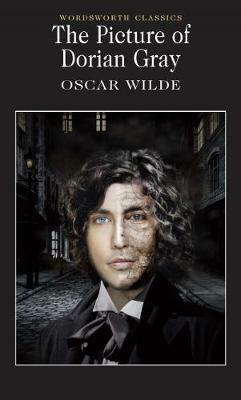 Spellbound before his own portrait, Dorian Gray utters a fateful wish. In exchange for eternal youth he gives his soul, to be corrupted by the malign influence of his mentor, the aesthete and hedonist Lord Henry Wotton. The novel was met with moral outrage by contemporary critics who, dazzled perhaps by Wilde's brilliant style, may have confused the author with his creation, Lord Henry, to whom even Dorian protests, 'You cut life to pieces with your epigrams.'. Encouraged by Lord Henry to substitute pleasure for goodness and art for reality, Dorian tries to watch impassively as he brings misery and death to those who love him. But the picture is watching him, and, made hideous by the marks of sin, it confronts Dorian with the reflection of his fall from grace, the silent bearer of what is in effect a devastating moral judgement.